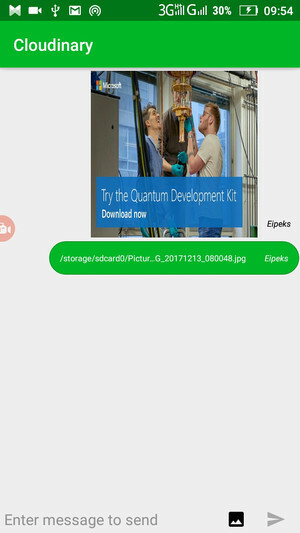 In this post, we will build a simple clone of WhatsApp with a focus on showcasing the background image upload process using Cloudinary’s Android SDK. The app is built using Pusher to implement real-time features. We’ll do this in two parts, first we’ll build the app with primary focus on the file upload and delivery with Cloudinary. 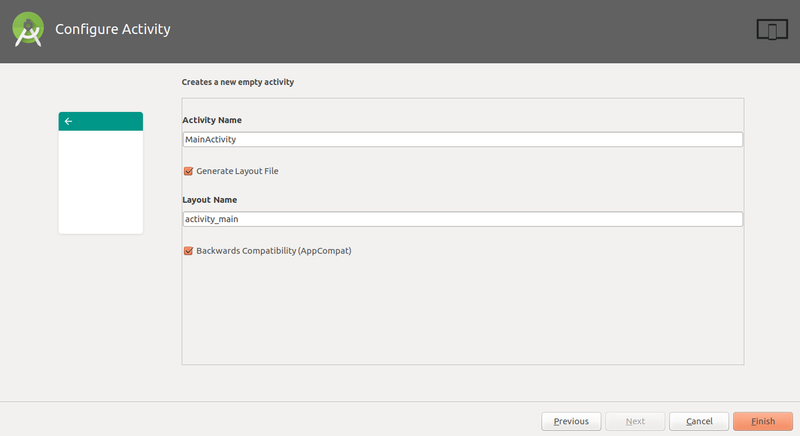 Then in the second part, we’ll show how to apply Cloudinary’s transformation and optimization features to the images. 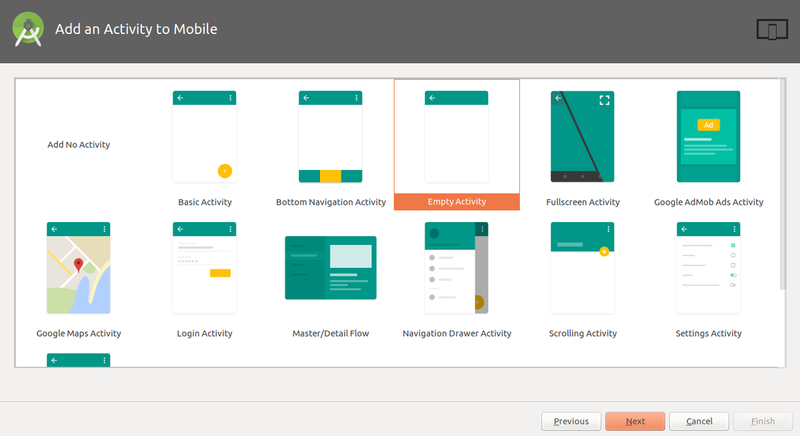 To continue with the project, we’ll work on the assumption that you’re not new to Android development and you’ve worked with custom layouts for CompoundViews(a ListView in this case). If you have not, then check out this tutorial. Follow the pictures below to set up your Android project. Before you proceed, create Cloudinary and Pusher accounts. You will need your API credentials to enable communication between your app and Cloudinary’s servers. The metadata tag will be used for a one-time lifecycle initialization of the Cloudinary SDK. 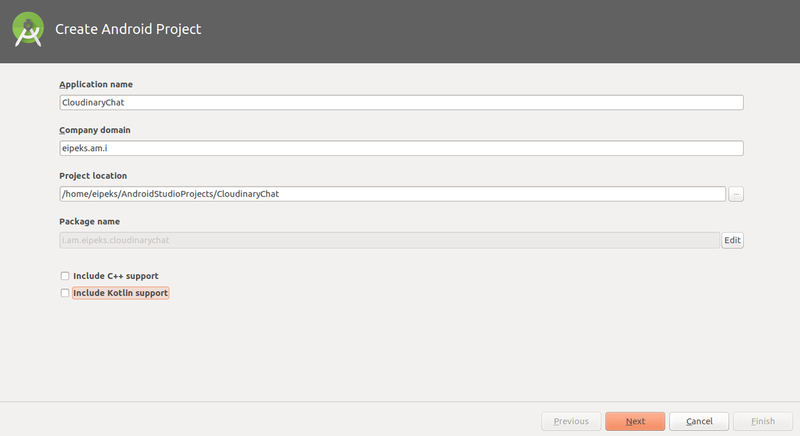 Replace the myCloudName with your cloud name, which can be found on your Cloudinary dashboard. Next, you need to create a web server with your Pusher credentials to handle your HTTP requests. You can get them from your account dashboard. Since we’re using ListView to show our chats, we need to create a custom ListView layout. So create a new layout resource file `message_xml` and modify its content to feature the necessary view objects required to achieve the chat view. Next, add two vector assets. We won’t be covering how to do that here. But you can check the official Android documentation on how to do it. Now our XML files are good to go. Next, we have to start adding the application logic. 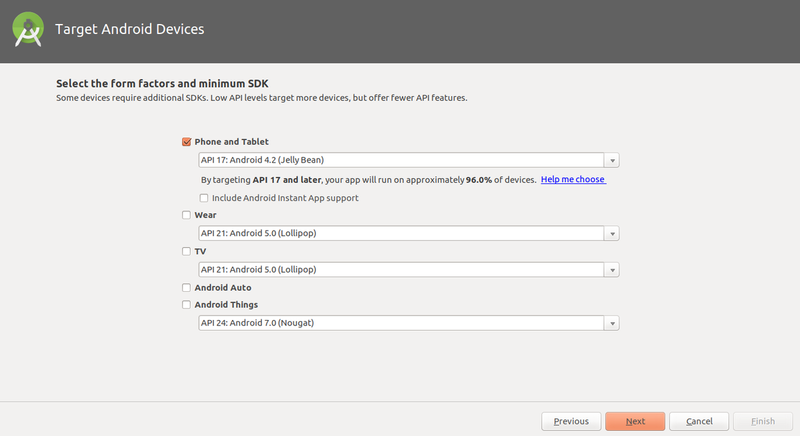 The entry point of the Cloudinary Android SDK is the MediaManager class. MediaManager.init(this) initiates a one-time initialization of the project with the parameters specified in our metadata tag earlier on. Suffice to say, this initialization can only be executed once per application lifecycle. For this project, we will be sticking with the former method since we already modified our AndroidManifest.xml file. It’s time to configure our Pusher library. Add the following lines of code to your onCreate() method below. The snippet above is self explanatory. messages is the name of the channel you created in your server. Now, we need to subscribe to an event in the messages channel. Hence, we’ll subscribe to the new-message event. Now, we have successfully tagged to our messages channel and subscribed to the new-message event. So, each time we send an HTTP request to the server, it redirects it to Pusher and we get notified of this “event” in our app, and we can then react to it appropriately in the onEvent(…) method. Before we continue, we need to initialize the Retrofit library to communicate with our server. This is not a Retrofit tutorial, so I won’t be covering the basics of using the library. There are a number of Medium articles that provide those details. But you can check this article from Vogella or this one by Code TutsPlus. What you need to know, however, is the reason we are making two POST requests. The first POST request will be triggered in the case the user sends only a text. The second will be triggered in the case of picture upload. Hence we’ll use this second POST request to handle this part of the tutorial for Image Upload and Delivery using Cloudinary. upload() is an overloaded method however, we’ll be using upload(Uri uri) since we already have the uri of the image we want to upload. We need to set an unsigned upload preset to upload images to our cloud without a secret key. option() takes in two parameters: name and value If you are uploading a video, then your value will be video instead of image. The line ensures that we can access the image we’ve uploaded using the Retrofit library. With this, we then call the uploadToPusher() method. Once this method executes, our HTTP requests reaches the server, which in turn redirects the information we’ve uploaded to Pusher. This information goes to the “messages” channel. Since, we have subscribed to the “new-messages” event, our application is notified of this event. All that’s left is for our app to react appropriately to this event. Next, we will modify our onEvent() method. Feel free to check the official documentation here. The source code for the project is on GitHub. In the next part of this article, we will cover how uploaded images can be transformed and what we can get from Cloudinary’s optimization features.